Beverly, on Chicago’s far South Side, holds the distinction of being the highest point of elevation in the city as well as one of its oldest neighborhoods. While it may not have the publicity of spots like Navy Pier or Old Town, there’s no shortage of memorable places to visit. Take some time to check out a few of the notable spots that make up Beverly’s rich history. The Beverly Arts Center has been a home for nurturing artistic talent in the Beverly and Morgan Park neighborhoods since 1967. The BAC hosts a stunning array of artistic events, including live stage performances, art exhibitions, concerts, and film screenings. It also offers a wide variety of classes through its community outreach program, seeking to foster an interest in the arts among younger minds. There’s always something new to see and discover at the Beverly Arts Center. Dan Ryan Woods consists of 257 acres of pristine forest preserve, one of the few such landmarks in the city of Chicago. Open to the public throughout the year, Dan Ryan Woods offers spots for picnicking and sports, a paved, multi-use trail in the warmer months, and a hill for sledding when the Chicago winter arrives. Fun and relaxation are always waiting at Dan Ryan Woods, with the only cost being the time it takes to get there. It’s strange seeing a castle in the U.S., but Givins’ Irish Castle has been one of the South Side’s most beautiful sights since Robert Givins had it built in the 1880s. Modeled after a castle in Ireland, the castle on a hill has been owned by the Beverly Unitarian Church since 1942. When it’s not being used for church services or classes, Givins’ Irish Castle can be used for receptions, parties, and weddings. Ridge Park has the distinction of being the first of the parks built in the Beverly neighborhood, its open space complementing the beautiful and historic homes surrounding it, but Ridge Park has more to offer than a spot for relaxation. The fieldhouse doubles as a cultural center and fitness facility, offering classes and exercise to residents. The building also hosts the John H. Vanderpoel Memorial Art Gallery, home to a collection of more than 500 works of art. A stroll around the park grounds reveals monuments honoring veterans. All of this combines to make Ridge Park a unique place to visit both in Beverly and in Chicago. For over 50 years, The Heritage Gallery has been one of the finest art shops in the city of Chicago, catering to customers from backgrounds as varied as the works of art on display. While it may not compare to the scale of the Art Institute of Chicago, the Heritage Gallery has a certain charm and elegance, with a welcoming atmosphere. Portraits of Chicago’s history and landmarks can be found at the Heritage Gallery. With freshly brewed craft beer, handcrafted décor, and crab cakes to die for, it’s no surprise that Horse Thief Hollow has is a favorite of Beverly’s residents. Owner Neil Byers demonstrated a little South Side ingenuity when he turned a former carpet store into one of the best breweries and restaurants in Chicago. For those who prefer wine over beer, Horse Thief Hollow offers a full wine list, as well as other spirits. An evening spent at Horse Thief Hollow is never an evening wasted. 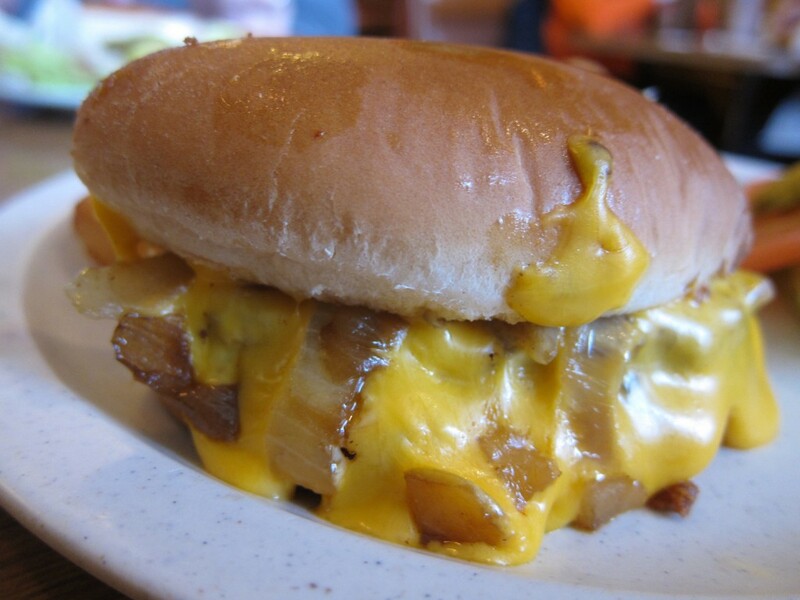 Since it opened its doors in 1942, Top Notch has been a staple of the South Side. Breakfast, lunch, and dinner are all available at Top Notch: delicious food served in generous portions at prices that cannot be beaten. A burger, beef fat fries, and a shake from this longstanding Beverly restaurant are an absolute must. 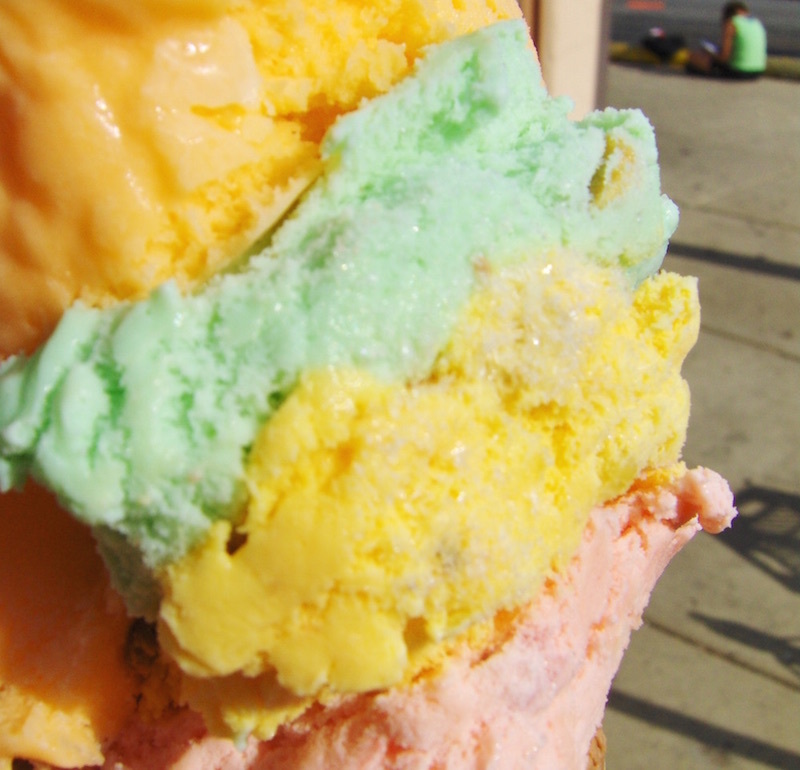 A summer in Chicago is not complete without at least one trip to the Original Rainbow Cone for its signature ice cream. Since 1926, Rainbow Cone has withstood the march of progress and held its well-earned reputation as one of the best ice cream parlors in the city. The Rainbow Cone ice cream (a multi-colored combination of orange sherbet, pistachio, Palmer house, strawberry, and chocolate) has no equal anywhere. Every resident of Beverly knows that it is his duty to bring guests in the summertime to Rainbow Cone at least once. Beverly has been home to the South Side Irish Parade since 1981, the St. Patrick’s Day celebration that stretches from 103rd St all the way to 115th. Every March sees thousands of Chicago’s citizens gather in Beverly to watch one of the biggest events of the year. While the South Side Irish Parade may have never made an appearance in a major motion picture like its North Side sibling, it’s a festive occasion, featuring floats, performers, and people from all walks of life. To attend the South Side Irish Parade is to see the heart and soul of Beverly in the smiling faces of everyone who comes.